A suspect has been identified in the killing of a California police officer. A man suspected of shooting a California police officer to death during gunfight has been identified by authorities who were still hunting for him Thursday as President Donald Trump tweeted about the alleged gunman's immigration status. Stanislaus County Sheriff Adam Christianson said during a news conference Thursday that police are "relentlessly" pursuing every lead in hopes of capturing the alleged killer of Cpl. 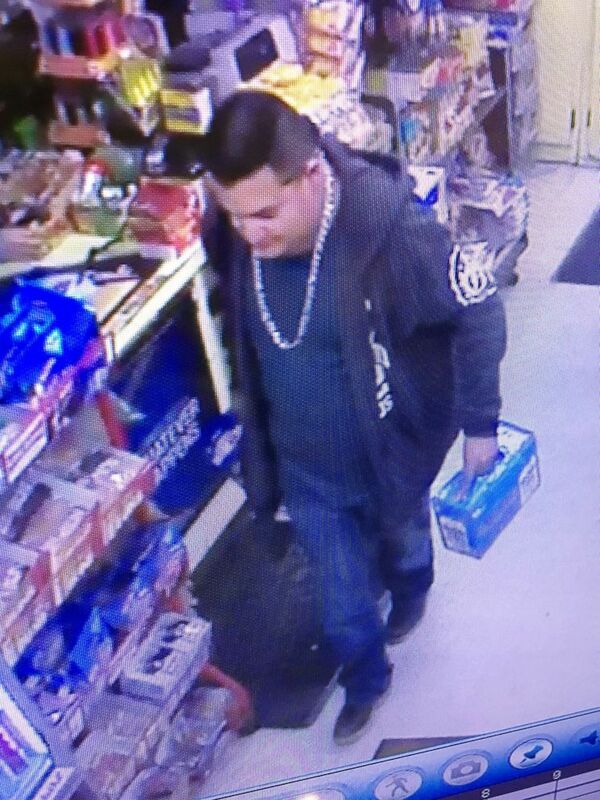 Ronil Singh of the Newman Police Department. "We will find him. We will arrest him. We will bring him to justice," Christianson said. "We're getting closer. I would like to think we'll have him in custody sooner rather than later." 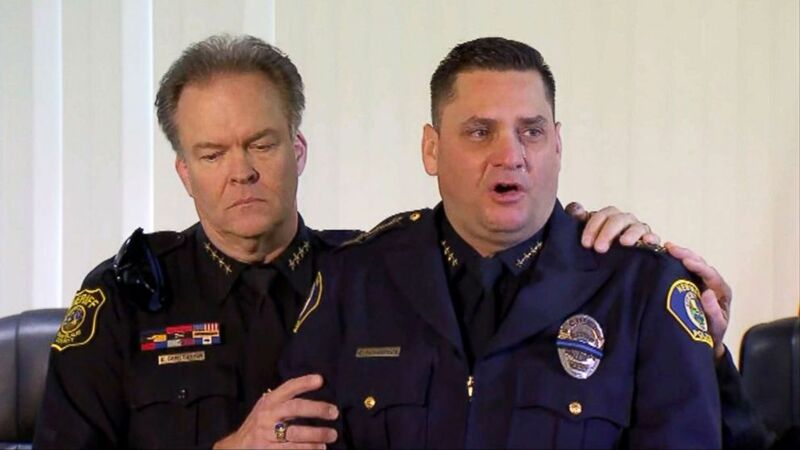 (KFSN) Stanislaus County Sheriff Adam Christianson comforts a tearful Newman, Calif., Police Chief Randy Richardson during a press conference on Dec. 27, 2018. Christianson did not release the name of the suspect, saying it would be "irresponsible for us to issue that information without absolutely knowing without any doubt that we have identified the right suspect." Singh, 33, was shot to death Wednesday after pulling over a suspected drunken driver at about 1 a.m. that morning, Christianson said. He said the occupant of the vehicle opened fire on Singh, who died trying to defend himself. 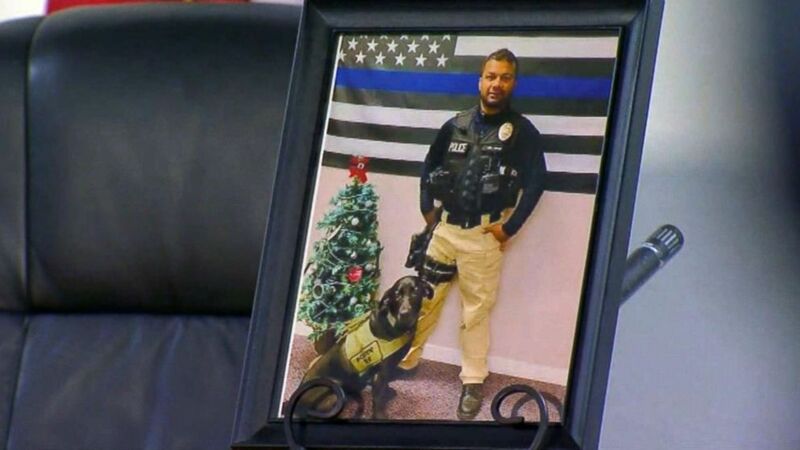 (KFSN) Newman Calif., police officer Ronil Singh is pictured in a photo on display at a press conference about the hunt for his killer, Dec. 27, 2018. "It was a gunfight," Christianson said. "Cpl. Singh absolutely tried to defend himself and stop this credible threat." 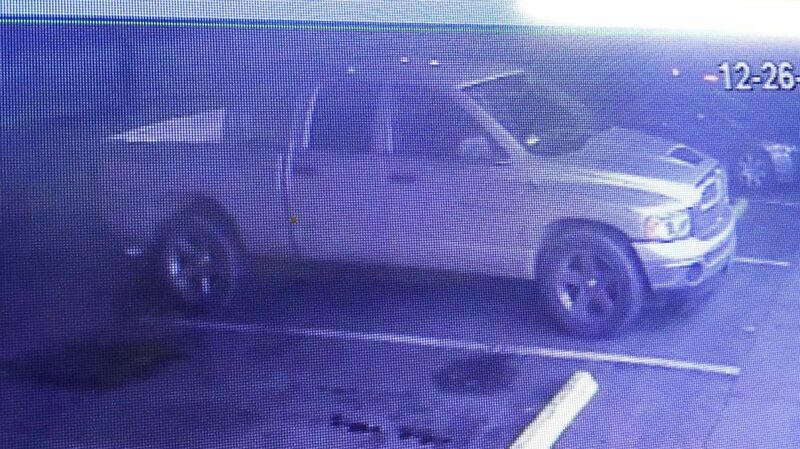 Police found the suspect's truck on Wednesday afternoon, and believe the alleged killer is still in Stanislaus County and is considered "armed and dangerous," Christianson said. Singh's killing marked the first death of an officer in the line of duty in the history of the Newman Police Department, an agency of 12 members. "This is a man that I saw every day he worked," an emotional Newman Police Chief Randy Richardson said of Singh during the news conference. "This is a man that I relieved on Christmas Day so he could go home and spend some time with his family and his newborn child." 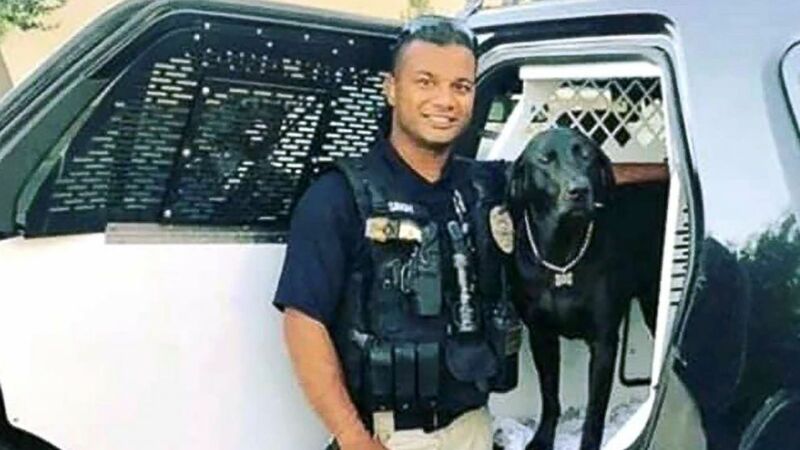 (Merced Police Department) Officer Ronil Singh of the Newman Police Department, California, is pictured in this undated photo released by Merced Police Department. He said that while Singh was born and raised in Fiji, he "came to this country with one purpose and that was to serve this country." "He was tragically taken from us, but what needs to be known is that he was truly just a human being and an American patriot," Richardson said. He said Singh is survived by a 5-month-old son and a wife. "He will never see his son walk. He doesn't get to hold that little boy, hug his wife, say goodnight anymore because a coward took his life," Richardson said. (KFSN) Newman, California Police Chief Randy Richardson holds up a photo of Cpl. 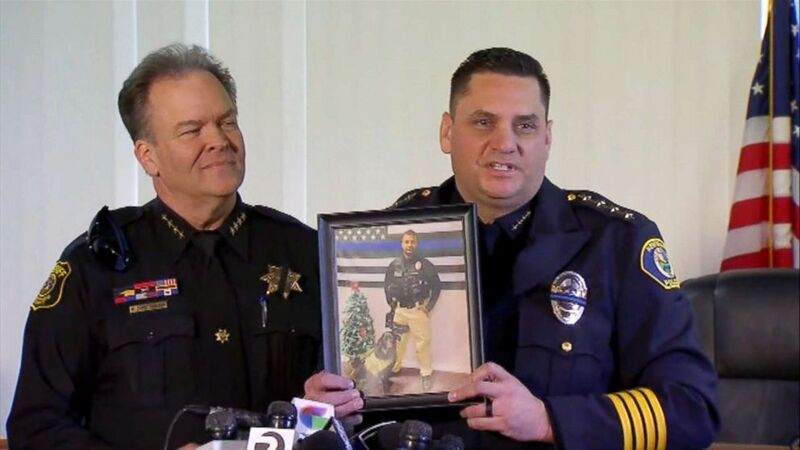 Ronil Singh as Stanislaus County Sheriff Adam Christianson stands next to him during a press conference on Dec. 27, 2018. Christianson said the suspect was in the country illegally. "This suspect -- unlike Ron, who immigrated to this country lawfully and legally to pursue his lifelong career of public safety, public service and being a police officer -- is in our country illegally. He doesn't belong here. He's a criminal," Christianson said. Soon after the news conference, Trump took to Twitter. 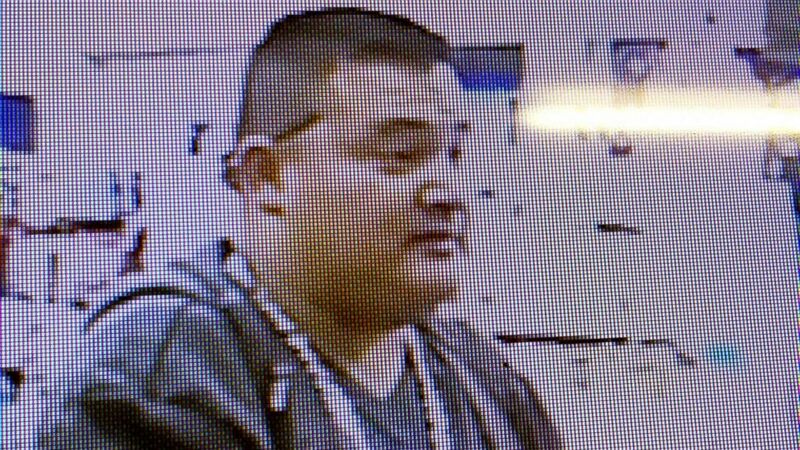 (Stanislaus County Sheriff's Department) Authorities are looking for the suspect in the killing of Newman police officer Ronil Singh, 33, Dec. 26, 2018. "There is right now a full scale manhunt going on in California for an illegal immigrant accused of shooting and killing a police officer during a traffic stop. Time to get tough on Border Security. Build the Wall!" Trump tweeted. He said Singh was also a K-9 handler whose drug-sniffing dog, Sam, was with him when he was gunned down. "When I pulled Sam out of the car, Sam was wearing a Mrs. Claus outfit that he [Singh] put on her because it's just the kind of guy he was. It's just the little things like that he did just to bring smiles to people's faces," Chief Richardson said. He said one of the last photos Singh posed for was of him standing in front of an American flag and next to a Christmas tree outside the Newman police station. "He truly loved what he did," Richardson said. "You've never seen a man smile more than him. He was never in a bad mood. It was unreal." Richardson pleaded with the public to help police catch Singh's killer. "Please help us find this man and bring him to justice," Richardson said. "I hope he's watching today and he does the right thing and turns himself in. We need closure. His family needs closure. This will never go away, but we need something. A win."